We are a full-service building and remodeling contractor. We provide service Delaware. We are a fully insured, licensed corporation. Our representatives are professional and knowledgeable. Our office is staffed with qualified employees who are available to assist you and handle your immediate needs. We are a full service clutter, hoarding and commercial cleanup company. Advance Inc specializes in all your exterior remodeling needs. Licensed Dover fence repair and installation contractor. Free estimates on new fences, repairs, and installations of fence materials. Call 302-530-8155 for Delaware Fence help in Bear, Dover, Newark, Smyrna, Middletown, and even Maryland. Have a wet crawlspace or wet basement in your home? Call Ameri-Dry, a Wilmington waterproofing company with state-of-the-art crawlspace waterproofing solutions! Apsley Builders takes pride in all the jobs we do. We offer emergency repair work as well. All our work and products are fully guaranteed. Check us out! Aquatic Services provides aquarium and fish tank cleaning, installation, set-up, delivery for business and residential in the Greater Delaware Valley. We also relocation tanks and design and install outdoor ponds and other water features. At Atlantic Landscape Company our experienced and diverse staff allows us to provide innovative and value driven solutions to unique situations in your landscape. We offer a full range of services for both commercial and residential properties. Always meeting or exceeding our clients’ expectations, we build relationships with our drive for the utmost in quality, workmanship, and personal service. We specialize in renovating and renewing homes by transforming ordinary spaces into the space of ones dreams! From Additions, kitchens & baths to general household repairs! No job is too big or too small! We work with every budget! We are fully licensed and insured! We are a BBB Accredited Business and a member of the New Castle County Chamber of Commerce. We are a locally owned and operated professional painting company, providing quality services to many of the finest homes in Delaware and Pennsylvania. Our commitment and dedication to customer satisfaction is one of the most important keys to our success. We are a full-time, painting company. Our employees are trained and committed to quality services and getting the job done right! We maintain a safe and comfortable environment in the process of restoring the beauty to your home. Your project will be completed in a safe and professional manner. We will respect your family and your home during and after work is completed. We will provide a comfortable experience during the work process with as little disruption as possible to you and your family. We will address and pay attention to any details that present themselves along the way. We will create beautiful results that will last and be admired for many years to come. Interior & Exterior painting. Power Washing. Drywall installation.Wallpaper Removall. Decks Cleaned & Sealed. Burglar & Fire Alarms, Access Control, Video Systems, Monitoring. Basement Systems USA, Inc. is a local, family-owned wet basement waterproofing, crawl space repair, basement finishing, and foundation repair company serving Maryland, Pennsylvania, Delaware, and New Jersey. Basement Waterproofing is your #1 resource for basement waterproofing and foundation repair information, for a healthier living environment. Beacon Protection is a leading provider of security and monitoring services for residences and small businesses throughout the North East and Mid-Atlantic regions. Benjamin Franklin Plumbing is a certified and licensed plumbing contractor in Wilmington DE. We provide professional plumber service, Appliance Installations, Drain Line Cleaning & Repair, Emergency Plumbing Repair, Gas Piping & Gas Repair, General Plumbing Repair, Leak Detection & Repair, Sewer Cleaning & Repairs, Water Filtration Systems and Water Heater Installation & Repair. Blue Sky was born from a collaboration of Gary Ventresca & his wife Valerie. Gary’s entrepreneurial skills were honed as an efficiency educator & cleaning project specialist at his family’s janitorial supply company. Valerie’s acumen is polished by years of managing large multi-tenant properties for local developers. We’re licensed by the State of Delaware and every employee is protected by worker’s compensation insurance. We’re eco-friendly and prefer using safe, green cleaning solutions. Our client list has grown to include; banks, builders, real estate agents, warehouses, dealerships, religious centers, offices, gyms, hotels, homes and more. Some clients we serve every day. Others require monthly, quarterly or yearly intensive cleaning. Property managers and realtor clients may want post-construction, move-in or move-out cleaning. They call us. Boulden Plumbing in Wilmington & Dover, DE – Offering plumbing, drainage, sewer, water heater and water treatment system installation, maintenance and repair in the Wilmington & Dover metropolitan area. Boulden Heating & Air Conditioning of the Wilmington and Dover, DE area – Offering AC and heating installation, maintenance and repair in New Castle, Cecil and Kent Counties, Delaware. Brandywine Exteriors is the local expert for all of your home’s exterior needs. We specialize in a variety of roofing, siding, and window services. At Brandywine, we pride ourselves on providing customer driven service in conjunction with premium craftsmanship. If you’re looking for a contractor you can trust don’t wait – head to our website to find out more! Budget Rooter is a local, family owned full service plumbing and drain cleaning company serving both commercial and residential customers. Founded in 1992, Budget Rooter serves the New Castle and Kent counties in Delaware, as well as parts of Cecil County in Maryland. Our services include: Drain Cleaning, Video Pipe Inspections, Water Heaters, High Velocity Sewer Jetting, Water & Sewer Line Repairs and Replacements, and Full Service Plumbing. We provide free estimates, up-front pricing, and are fully licensed, insured, and bonded in our service areas. Budget Rooter’s team of plumbers and technicians undergo frequent safety and skills training, and are drug-tested and background checked for your peace of mind. Our mission is to provide excellent service at a fair price, to remain committed to the environment, and to treat our customers with integrity and respect. Need a plumber? Get a plumber, not a salesman! WHEN PUCHASING ANY FLOOR WE HAVE THE ANSWERS. WE WILL GUIDE YOU AND WILL EXPLAIN ANYTHING YOU DESIRE. QUICK SERVICE WITH EXCELLENT INSTALLERS. 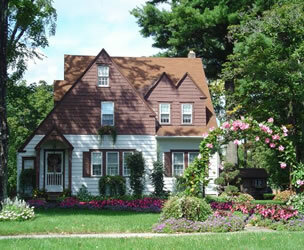 CertaPro Painters of Delaware provides residential painting services. From prep, priming and painting to carpentry repairs, from specialty coating to help with color selection, we are the painting company for all your painting needs. Call us today to schedule a free painting consultation.